Dr. Muirhead was the Associate Provost, Academic and Information Technology. As a founding academic administrator of the university, Bill has been responsible for developing Canada’s largest Technology Enriched Learning Environment, the Teaching and Learning Center, the Academic Success Center, the Health Education Technology Research Unit and is currently a founding researcher of the EILAB in the UOIT Faculty of Education. Dr. Muirhead has overseen the development of university policies and governance structures pertaining to all aspects of undergraduate curriculum and quality assurance. 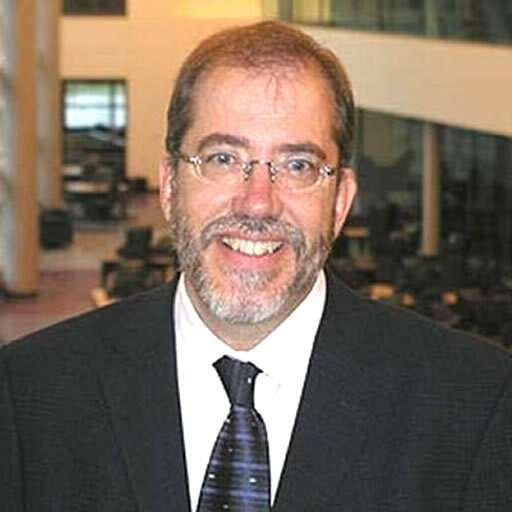 Prior to the University of Ontario Institute of Technology, Bill was the founding Executive Director of the Alberta Online Consortium (AOC) and served as a senior advisor to Alberta Learning in areas of e-learning, professional development, and all aspects of policy involving online learning, virtual schooling and emerging information and communications technologies (ICT) in public and postsecondary education sectors. Dr. Muirhead’s research interests included professional practices in online education; design of hybrid learning environments; policy support for developing and implementing learning object repositories; and the development and management of technological infrastructures in postsecondary institutions. An internationally recognized speaker, Bill has been the recipient of numerous awards for leadership and innovation in e-learning.